Click here and visit our Store. There you can choose the blades that you prefer and activate your subscription. 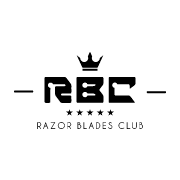 New razor blades are shipped to you every 2 months at a very low cost shipping. Our Club has no commitments. Feel free to suspend your subscriprion or cancel it anytime or change the blades of your next shipment whenever you want. We hope that now you understand the wisdom of joining the club. So come with us we are waiting for you!